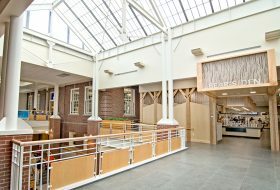 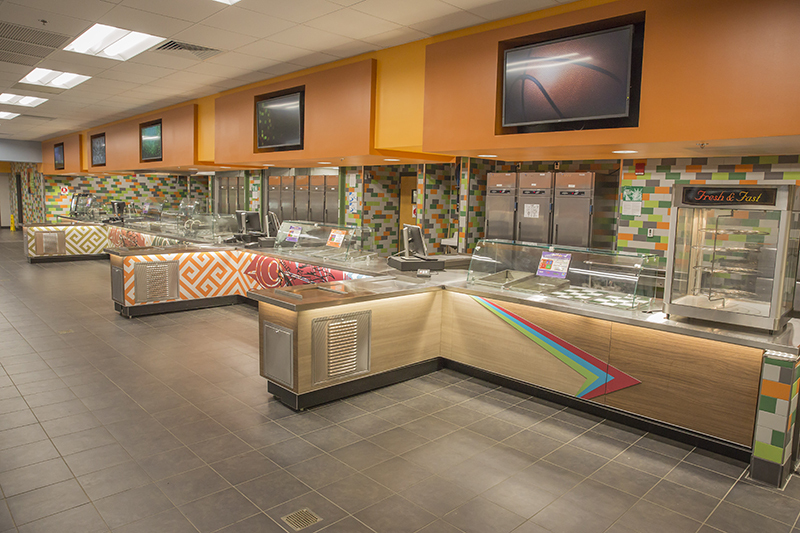 Case Study | Albany HS Cafeteria Renovation | LTI, Inc.
LTI and Pace & Associates partnered to transform Albany High School’s cafeteria. 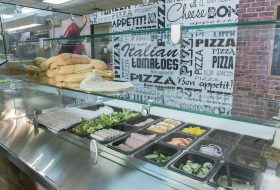 The goal was to create multiple serving lines to move students through more efficiently, while giving them a variety of food options (leaving some time to socialize during their short lunch break!). 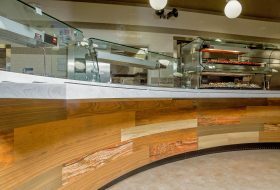 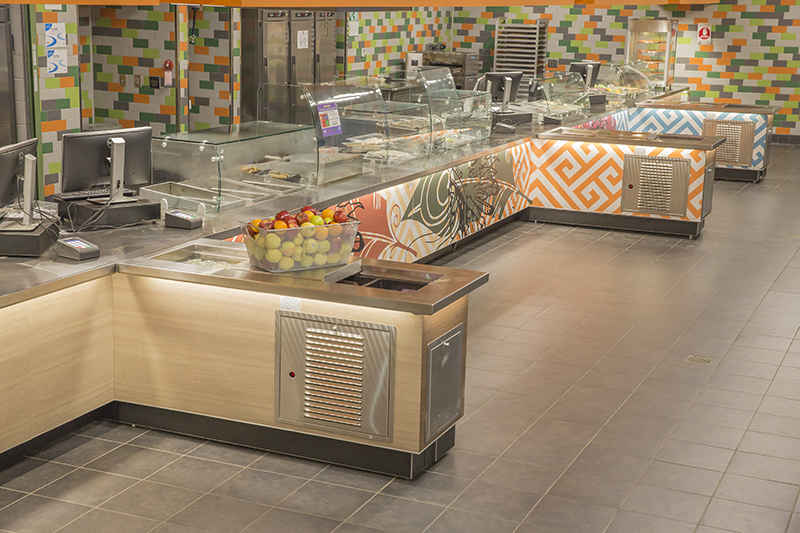 We built nearly 100 feet of serving counters, five stations – each with its own design and theme/signage. 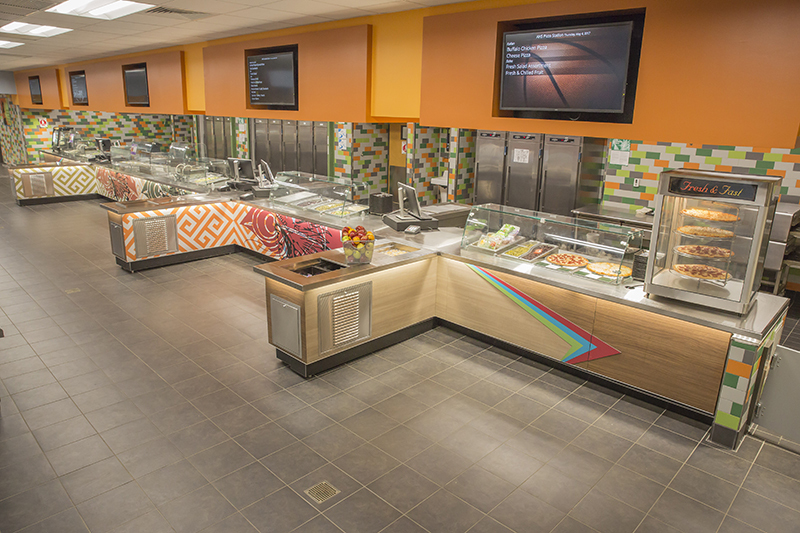 We also installed digital menu boards above each station, which allow quick and easy menu updates. 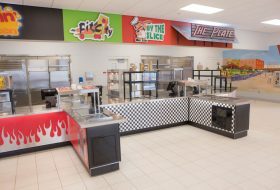 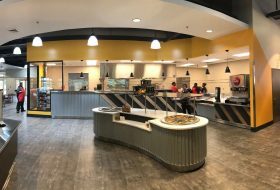 The Dougherty County School Nutrition Director, Blaine Allen, wanted to be able to offer action-style cooking stations and empower students to be a part of their lunch experience with features such as panini grills, griddles and a turbo pizza oven. 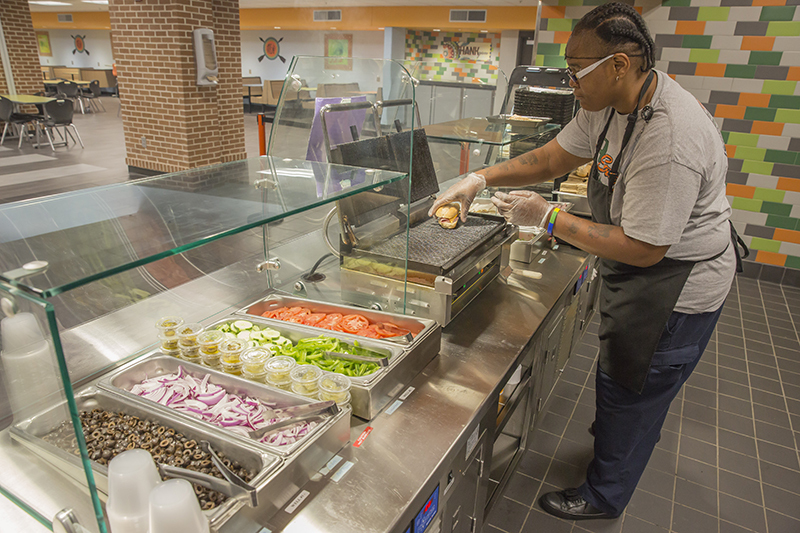 The concept at the high school level allows students to see their food being made in front of them. 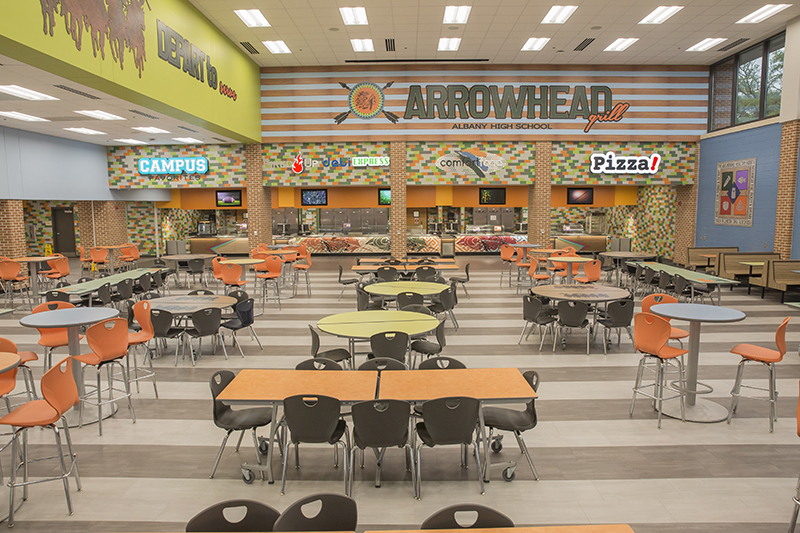 Also on his wish list was to give the cafeteria a bright, vibrant look and feel using the school’s mascot colors of orange and green, and that’s what our VisionDesign Planning & Décor design team did. 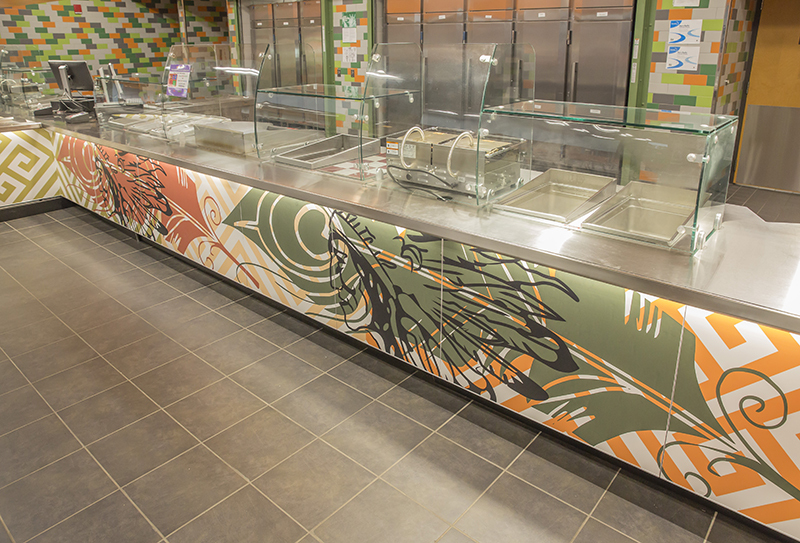 The school was very pleased with the outcome, and the students and teachers are enjoying the new serving area.